That day, all hungry we, ordered a food from that brand new food joint of our city and yes excited me opens the box and found what? Many of us foodies are very concern about how much delicious food we left in the plate. Child inside of us never let us wastes single grain of favourite food. So instead of licking plate, what if we could eat it as well !!! 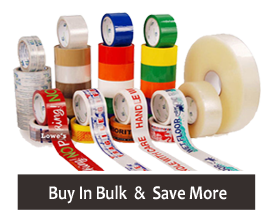 Biaxially oriented polypropylene tape, or the more commonly known, BOPP tape, is one of the most commonly used tapes used in shipping and inventory management today.